At almost 50, I'm beginning to develop some of the classic symptoms of low Human Growth Hormone levels. Saggy skin, wrinkles, thin wispy hair, muscle loss, fatigue, etc. What growth hormone stimulators would you recommend to treat this condition? One of the most powerful things you can do to boost HGH levels, is add brief, intense, weight training into your weekly routine. Do these exercises in a fasting state, and you'll supercharge your HGH production. Heavy, compound exercises like squats, and dead lifts are, without a doubt, the most effective. You need to cross the lactate threshold! The lactate threshold is the burning sensation you feel in your Muscles when churning out the last few reps of a challenging exercise. When I do my routines, I look for that burn, and take steps to maintain it for 5 to 10 seconds per set, if at all possible. When I hit and maintain that threshold, several times during an exercise session, I know for a fact, that I've flooded my system with all the growth hormone I'll need that day. Hit the weights too hard, too often, and your efforts will backfire on you. 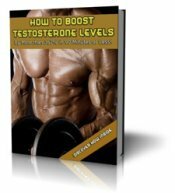 You'll actually see a reduction in HGH and Testosterone Production. Again, brief, and intense is what you're looking for. Cut the caffeine and stimulants by noon everyday. Workout regularly, and take steps to control stress in your life. As your evening progresses, dim the lights, and get away from your TV and computer screens, so your internal clock begins to wind down as sleep time approaches. Your goal is to hit the sack and sleep like a baby for around 8 hours each and every night. Because most of the HGH you produce in a 24 hour period, is going to happen while you are in slow, deep wave, sleep mode (rapid eye movement (REM) sleep). Nature has a very clear plan in this respect. Muscle, tissue, and skin maintenance/repair all occur while you are sleeping, and growth hormone is a huge part of this equation. If you fail to get into this deep sleep nightly, you lose out on this nocturnal rebuilding, and you're body, over the long haul, will suffer the consequences. Limit intake of refined carbohydrates and sugar, and put your focus on protein rich foods, and quality fats. Because elevated blood sugar levels will shut down your natural growth hormone production in a flash. It's especially important that you cut the carbs, and other foods, 3 or so hours before turning in at night. Lowering your blood glucose levels prior to bedtime, will allow the body to settle into a fasting state. This clears all gastric related digestive activity, allowing for maximum human growth hormone release from the pituitary gland during REM sleep. Follow the links below to read about the growth hormone stimulators I use and recommend. 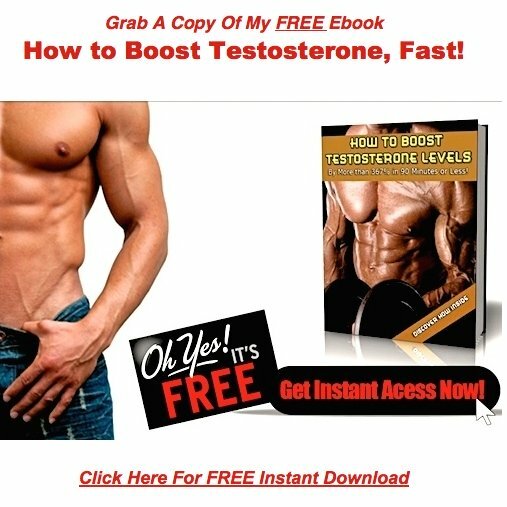 Return to Natural Human Growth Hormone Production! Ideas & Feedback!.